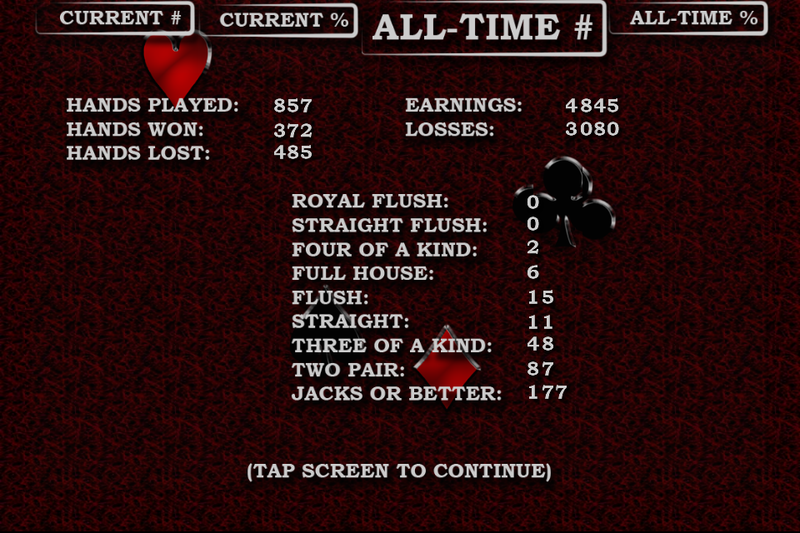 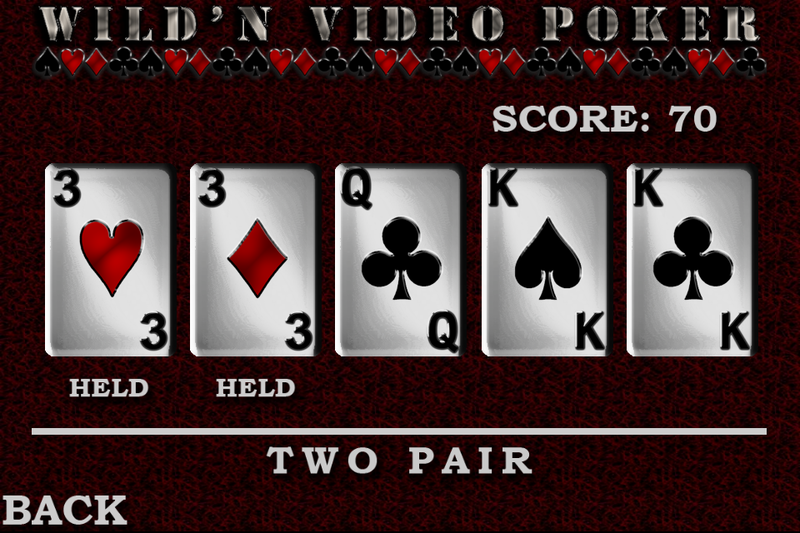 Play the FREE edition of the best version of Video Poker ever made for iOS! 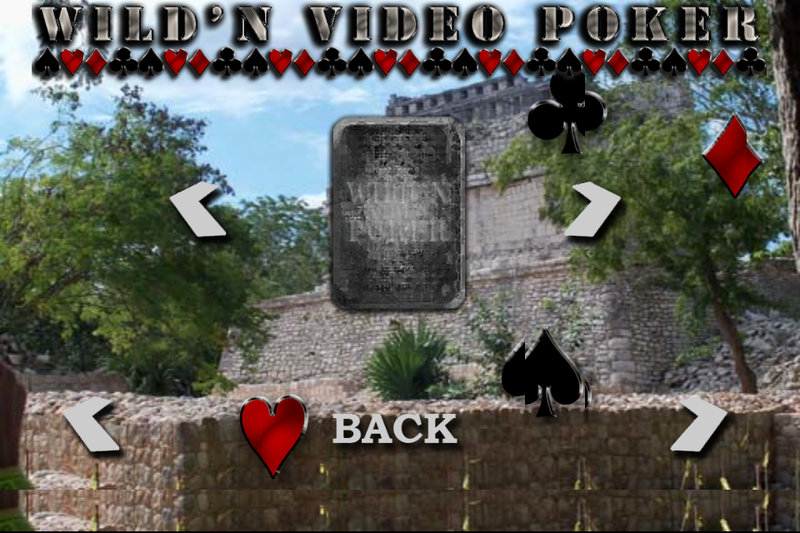 With easy to navigate menus, a clean user interface, and an incredibly addicting game, you could easily spend all day playing this game while doing anything else! 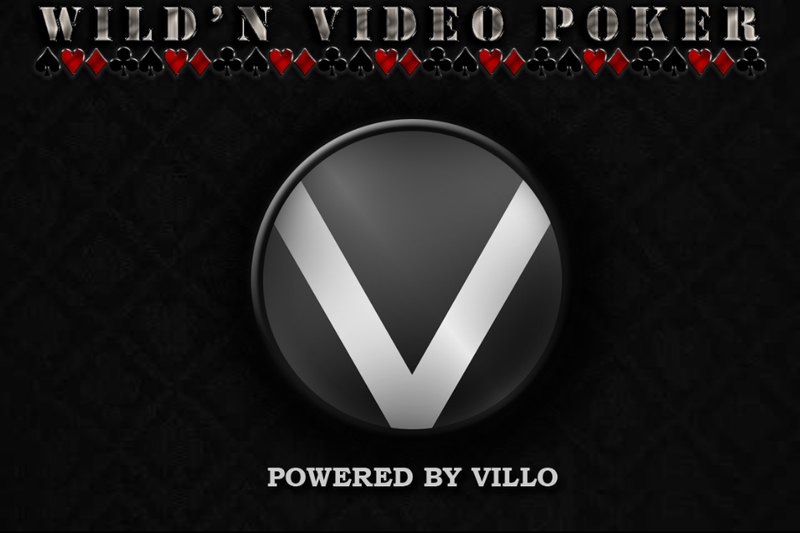 Introducing my very own version of wildcard video poker, you will be hooked from the beginning. 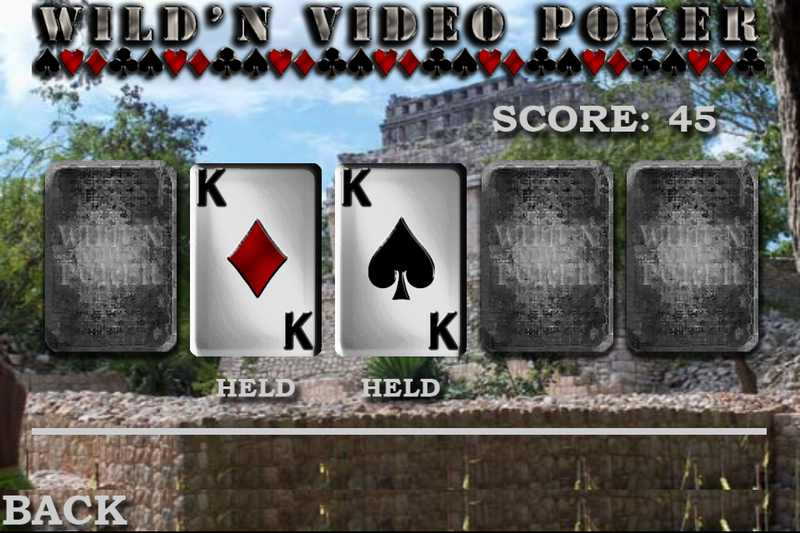 A wildcard is generated each hand, and you can score from any number of natural and wildcard winning combinations.